Since 1973, the year Bruce Lee died and his famous motion picture Enter the Dragon was released, movies have been the single most influential factor behind the growing popularity of martial arts. Lee’s cinematic success spawned a global industry of the martial arts, and schools opened and flourished worldwide. During the 1970s more students took up the study of martial arts than at any time before or since. 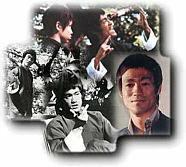 To those involved in martial arts, the years from 1972 to 1975—the height of Lee’s popularity—are often cited as the Bruce Lee era.